Most of our research projects are centered around the development of new spectroscopic methods and applications of these techniques, often in collaboration with other groups. 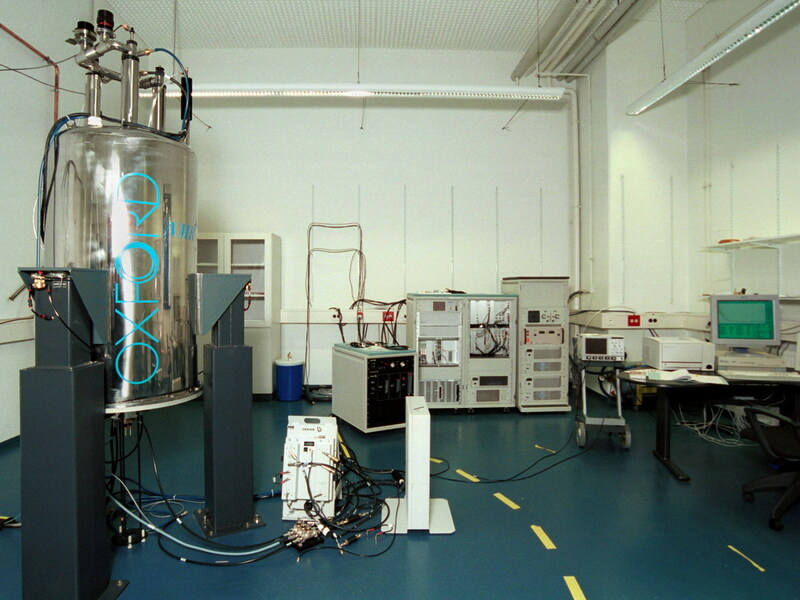 Within this field, we emphasize high resolution laser spectroscopy, nuclear magnetic resonance, electron spin resonance, and the combination of these techniques. Our motivation for combining the different fields originates partly from the possibility of increasing the sensitivity of magnetic resonance by several orders of magnitude. This possibility has resulted in some dramatic achievements, like the demonstration of magnetic resonance of individual spins. Another motivation is selectivity: the addition of a laser beam greatly enhances the possibilities for distinguishing signals that originate from different chemical species, different parts of the sample, or molecules with different orientation. If you would like to know more about laser-assisted magnetic resonance, you may get an introduction, check out a description of the physics involved or browse through some applications to various systems. During the last years, a significant part of our work was focused on quantum information processing. Using magnetic resonance as well as optical techniques, we implement different quantum algorithms and investigate how their execution can be optimized. A very interesting field of applications turned out to be quantum simulations, where quantum information processors are used to simulate the behaviour of other quantum systems. A number of projects are focused on the scalability of quantum information processors and the preservation of the quantum information by protecting it against environmental perturbations. Another focus of our research is the application of magnetic resonance to medical research. As an example, we use magnetic resonance imaging for measuring the flow of liquids, with special properties, such as blood. The results from this project will help to decide between the best treatment options for damaged arteries, e.g. in the context of aneurysms.